You may run your own business, but sometimes it can seem like you still have a lot of bosses you report to. Stakeholders who have an interest in how your business performs can make demands, and meeting those demands can mean the difference between success and failure for your company. However, not all stakeholder requests are created equal. Some stakeholders simply are more vital than others in your decision making. Primary stakeholders may have a financial position in your company, whether they invested money to help you grow or they're employees counting on your paychecks to pay their rent. Decisions you make can affect their incomes. For example, if you decide to expand, you may make less profit for a while as you pay for that expansion. Investors and lenders may see this as a threat to their income, while employees may have a contrary view if they perceive that it enhances their own prospects. Secondary stakeholders, on the other hand, are those whose incomes won't be affected by your decisions. For example, people living in the neighborhood won't face any financial impact if you decide to add a new product line. As long as you don't make decisions that could hurt their property values, they remain secondary stakeholders from a financial point of view. You can evaluate stakeholders based on how they contribute to your company. An investor certainly ranks as a primary stakeholder. So does a lender. But a primary stakeholder that doesn't contribute money also may have great influence over your company. For example, a landlord could be vital in getting a rezoning decision passed by the city council. Secondary stakeholders have less influence. This includes people like service personnel, vendors and companies you do business with. They may be important to you, but they are replaceable. A supplier of raw materials who can't deliver,for example, can be replaced by a competing vendor. People who have been loyal to your company may be categorized as primary stakeholders, particularly if they're in position of influence. If you have a lender or investor who believed in your company from the beginning, you would be wise to count such a person as a primary stakeholder. As such, you might want to make sure such a person is notified of important developments. A stakeholder who just arrived on the scene, such as a potential new venture partner, could be viewed as a secondary stakeholder because he lacks that history with the business and doesn't have as much invested in its success. Who Are the Key Stakeholders in an Organization? 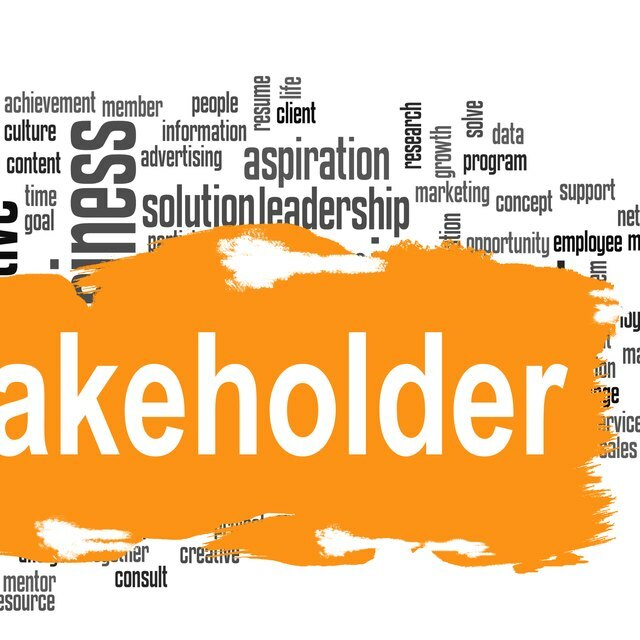 What Is a Stakeholder Buy-in? The primary stakeholder group includes people who have legal rights you must honor. For example, your company's effect on the environment could be important to the neighborhood, city, county and even state where you operate. When deciding to expand your business, these are primary stakeholder groups because they can affect whether you'll be allowed to do so, Secondary stakeholders are those who have no rights that affect your company. For example, other companies in your industry are secondary stakeholders, because they have no specific rights to stop you from operating in any manner you see fit, as long as you don't do anything illegal. Stakeholder Guide: Primary, Secondary, Tertiary Stakeholders…Oh My!